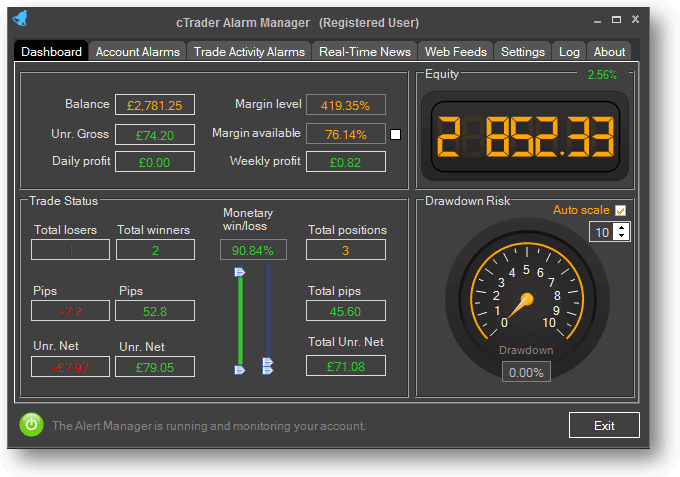 This is the Free limited version of the cTrader Alarm Manager can provide you with all the information at a glance to assist your trading, you do not need to start the alarm monitor to view the information. It includes an account overview as well as trade activity status including an account drawdown gauge. 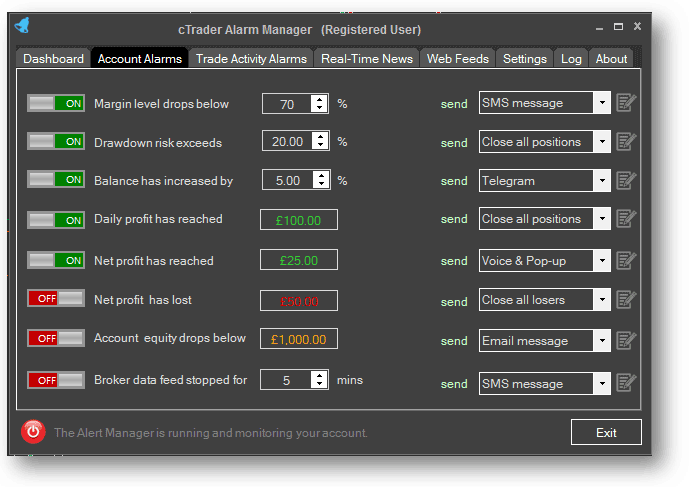 The Alarm Manager is a personal trading assistant for your PC or VPS that will carry out any number of automated actions such as managing positions, sending email’s, Telegram Bot broadcasts, Voice alerts and pop-up messages together with real-time news impact integration and important information at your finger-tips with configurable Web feeds. Traders can create rule-based alarms which trigger any number of actions. The software can notify the trader about events, carry out trading actions such as closing existing positions. "PLEASE NOTE THAT THE LIMITED VERSION DOES NOT INCLUDE ACCOUNT OR TRADE ACTIVITY ALARMS"
This useful gauge will show the current drawdown of your account, it has a direct relation to how much of your capital you are risking, the higher the drawdown the more you enter the realm of gambling. If your outlook to trading is low risk, then you would be looking at a drawdown of 5% or less. 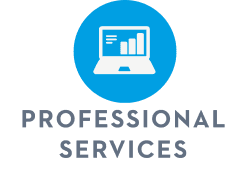 Why not leave it running 24/7 365 days a year on your Virtual Private Server (VPS) so you are always protected? SMS message, this will send you an INSTANT SMS message to the number you configured in the settings tab. You get 5 free SMS messages with the trial version. Close Position, Closes a single position when for example it is 20 pips in profit. Close losing positions, this will close only losing positions. How Can This be Free!! I downloaded and started using this alarm terminal and my first thought is how can they be giving this away for free. I used to trade with MT4 and there is no way you would get something like this for free.